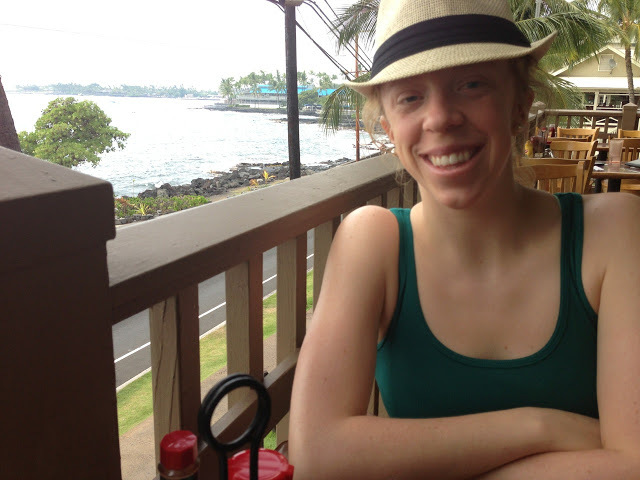 3000 miles north & back: Coconut Almond Nut Butter? I was more than excited to spend my Saturday making a huge batch of new nut butter. What kind? Almond coconut. I saw this on Ashley's blog and could not wait to experiment with my own recipe. 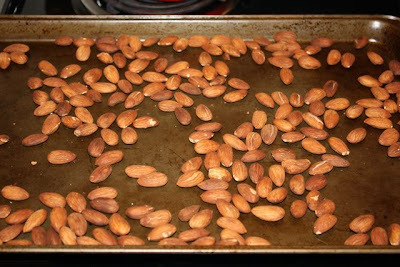 I began by roasting raw almonds in the oven for about 10 minutes, stirring the almonds around every three to four minutes to prevent the almonds from burning. After letting the almonds cool, I put together the items I needed for almond coconut nut butter. 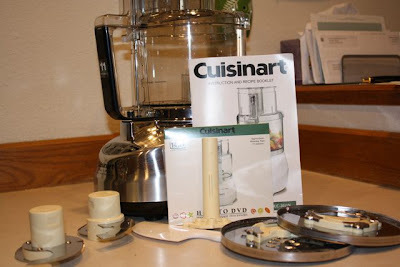 These items included my mini food processor...the same food processor I have been using for about three years. 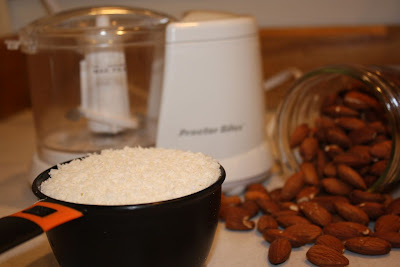 I put 1 cup of the roasted almonds in the food processor and rotated the top which starts the blade. Although the blade was trying to rotate, nothing was happening other than a buzzing sound. I pulled the blade out and realized that the plastic piece that rotates the blade had cracked, preventing the blade from spinning. I was still in the mood to make Coconut Almond Nut Butter though and made the decision that it was time to purchase a new food processor. 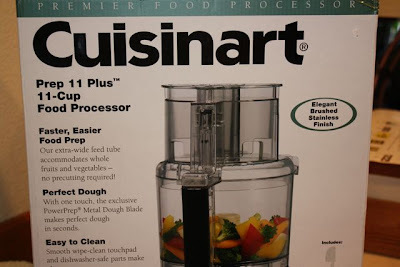 A food processor that I could put more than 1 cup of almonds in at a time...a food processor that was not a "mini" version. So, I called my mom to ask her which food processor I should purchase. She said to go with a Cuisinart. I read a few reviews, and she was right. 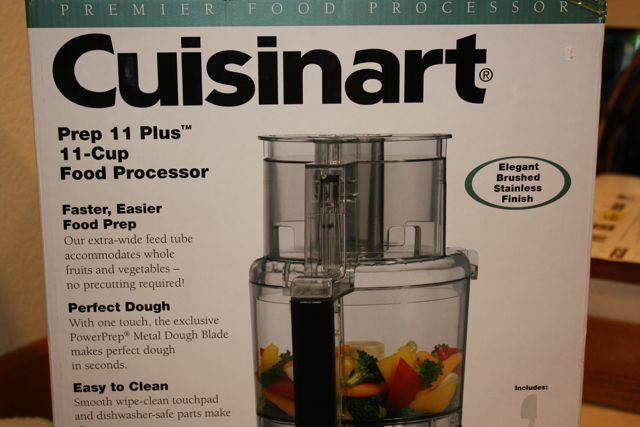 Cuisinart killed the competition in every review I read. Here I come Bed, Bath, and Beyond. A. Brand. New. Food. Processor. 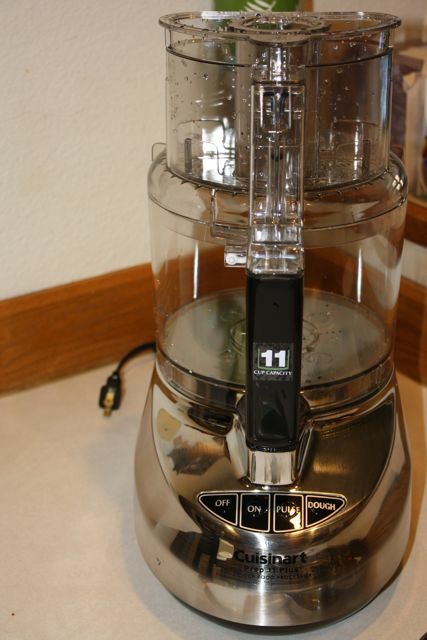 with my new food processor.